This past week my plane took off from Dallas and touched down in the heart of Silicon Valley. It was my second time to attend SaaStr, the largest software-as-a-service (SaaS) event on the planet. The length of the conference was three full days, giving me plenty of time to network, get advice, and learn directly from the experts about the latest SaaS trends and happenings. Last year was an eye-opening experience and this year did not disappoint. When I stepped foot inside the convention center, I immediately noticed how well things were laid out. The previous year I recalled crammed escalators, long lines and if you didn’t arrive to a session on time, then you might not have a seat. 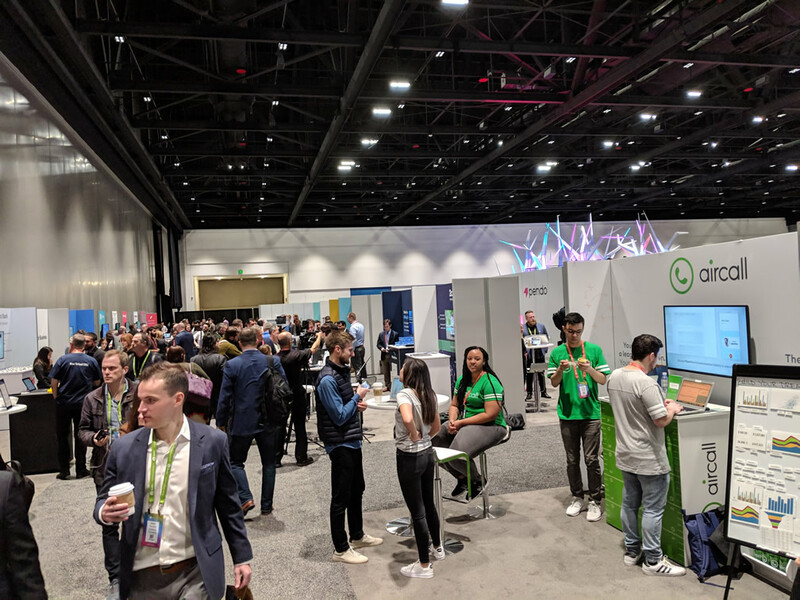 Lack of space was not the case for SaaStr 2019. This year, the event was held at the San Jose Convention Center and boasted over 12,000 attendees. The roomy venue made badge pick-up fast and easy. Everywhere along the way were event coordinators standing by to answer questions and guide us wherever we needed to go. Day one was full of entrepreneurial spirit. The vibe in the air was amazing. Thousands of SaaS-focused entrepreneurs, investors, salespeople, product developers, marketers and mentors gathered around to participate in a rare opportunity to speak SaaS to each other in person. Everywhere I turned, I found opportunities to network and learn perspectives ranging from fresh startups to SaaS veterans. The SaaStr mobile app made the event go smoother as I was able to plan ahead and determine which sessions sounded the most appealing. If I didn’t reserve a seat through the app ahead of time, then there was a good chance I could get turned away if the session reached max capacity. As I made my way further into the convention center, I noticed a sign for an app called Brella. 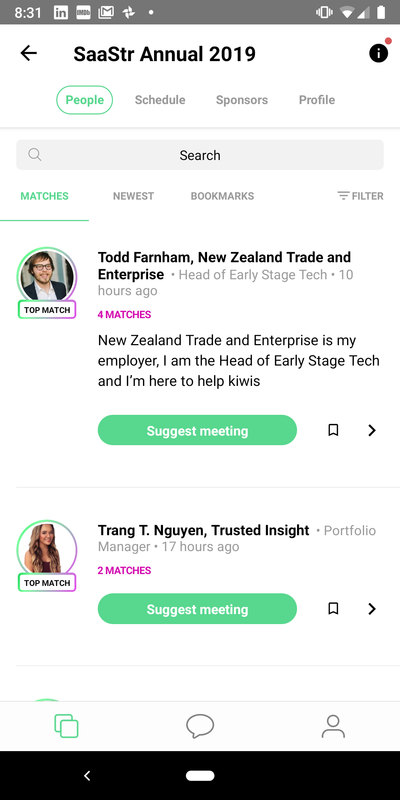 Think matchmaking made specifically for attendees to meet others at conferences. Brella allowed me to pick from a checklist of what I was seeking (e.g. funding, marketing help) and then check boxes of what I am offering. This allowed the me to find commonalities and easily set up a 15 minute meeting with other attendees to pick their brains on a SaaS related topic. Brella’s clean UI made it easy to find like-minded SaaS professionals and set up meetings. There were plenty of tables and chairs (including power and convenient USB charging stations) for conducting meetings. On the far-right of the networking area was a designated section for VC firms to hear pitches and collaborate with startups seeking funding. SaaStr’s Braindate app also paved a path to collaborate among the SaaSy folks. Anyone could post (and host) a topic of anything SaaS related, and as other attendees browsed the topics, they could setup one-on-one meetings or choose to meet with a group of four. Like Brella, the Braindates made a huge difference in connecting with like-minded SaaS professionals. 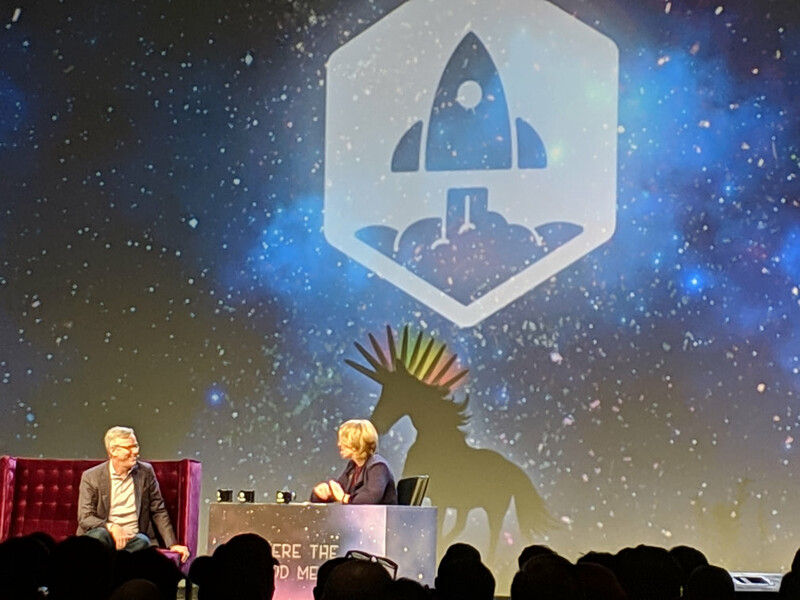 The speakers at SaaStr 2019 were simply stellar. Dozens of C-suite executives and founders from successful SaaS companies (including a few unicorns) freely offered their insight on what pitfalls to avoid, how to raise capital, and how to grow market share in the whirlwind of SaaS. I had the fortune of listening to insight from Hubspot founder (Brian Halligan), COO of Intercom (Karen Peacock), and CMO of Zoom (Janine Pelosi), to name a few. There were also several Q&A sessions allowing us to get candid answers directly from true SaaS pioneers. Brian Halligan (founder of Hubspot) shares some of his SaaS growth tips in a fireside chat. SaaStr’s tag line of “The world’s largest community of SaaS executives, founders, and entrepreneurs” was a fitting description. I observed accents from all around the world, and before I knew it, I was making connections from SaaS mover-and-shakers from Brazil, Poland, England, New Zealand, Holland, Ukraine, and more. SaaStr 2019 was truly a global event. The exhibit hall layout was easy to navigate where I could quickly strike up conversations with top SaaS vendors, see a quick demo and grab some information. There was plenty of representation from nearly every SaaS related category imaginable (i.e. chat, CRM, analytics, cloud hosting). When the clock struck 4:00 pm, beer and wine started flowing throughout the sponsor hall which fostered a relaxed environment to network even further with both sponsors and attendees. Sponsored parties made after hours during the conference loads of fun. The first night pendo.io sponsored a party at the Ritz pub that had karaoke by a live cover band. Several SaaStr folks got a chance to get on stage in rare form, letting their inner rock star persona shine, even if for only a few minutes. The second night, the after-party was hosted at San Jose’s Tech Museum. The atmosphere was much quieter which made it easier to have a conversation. The tech museum displayed technological advancements and innovations (many of which originated in Silicon Valley) over the years. As an added bonus, the Body Worlds exhibit was a part of the tech museum which was truly a breathtaking experience. 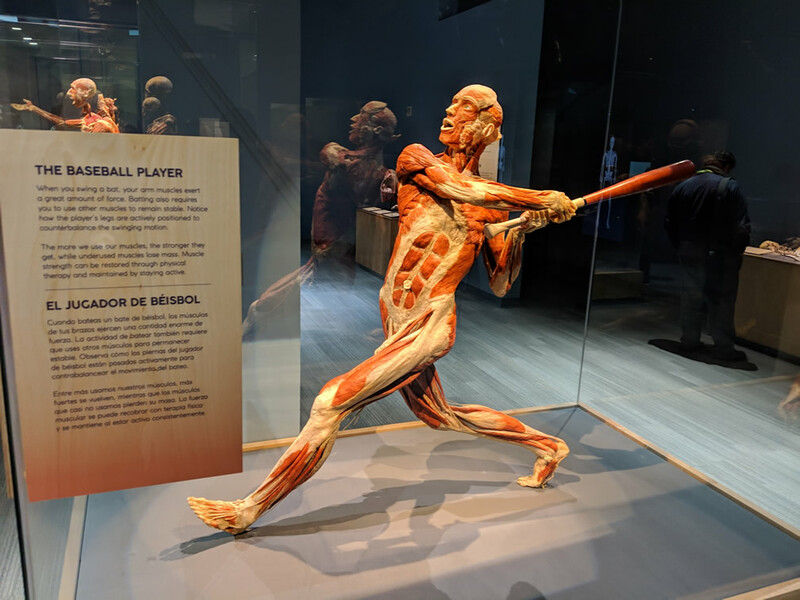 The exhibit also doubled as an ice breaker, making it easier to strike up a conversation with others whose jaws were dropping as they curiously gawked at the various poses of actual skeletal, muscular and nervous systems of the human body. 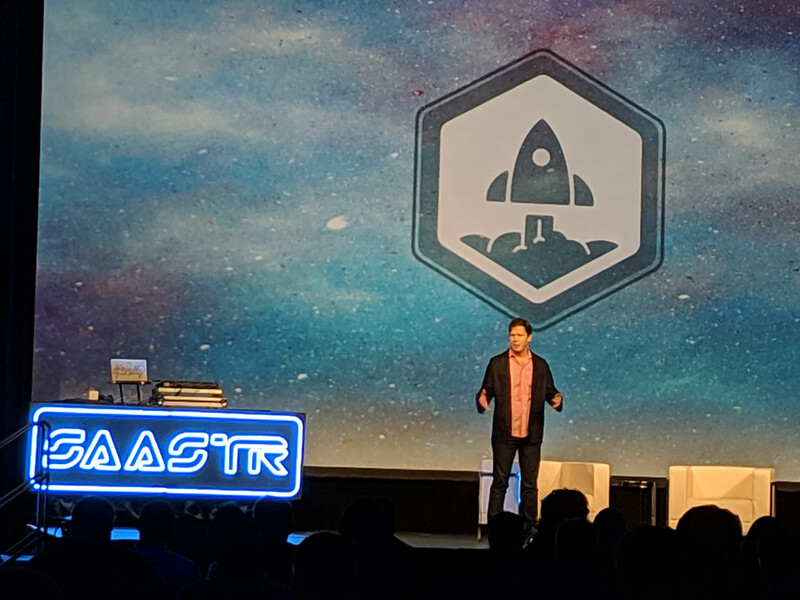 As a SaaS marketing professional, I found SaaStr 2019 to be an inspirational, must-attend event. 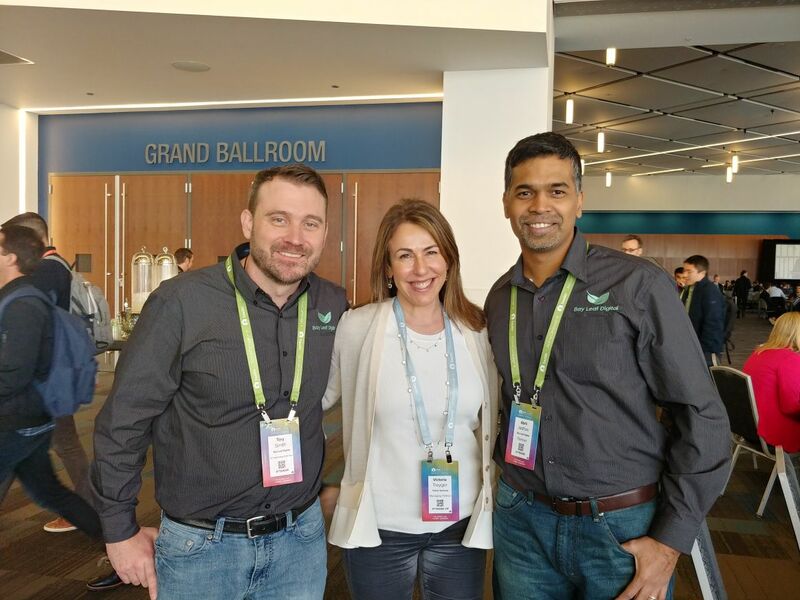 As I consumed multiple doses of SaaS related insight from been-there-done-that SaaS experts, I also felt at ease networking with top professionals in the same space. If you’re a SaaS exec or in SaaS Sales or Marketing and considering attending next year, I strongly encourage you to get your tickets for SaaStr 2020 before it sells out. 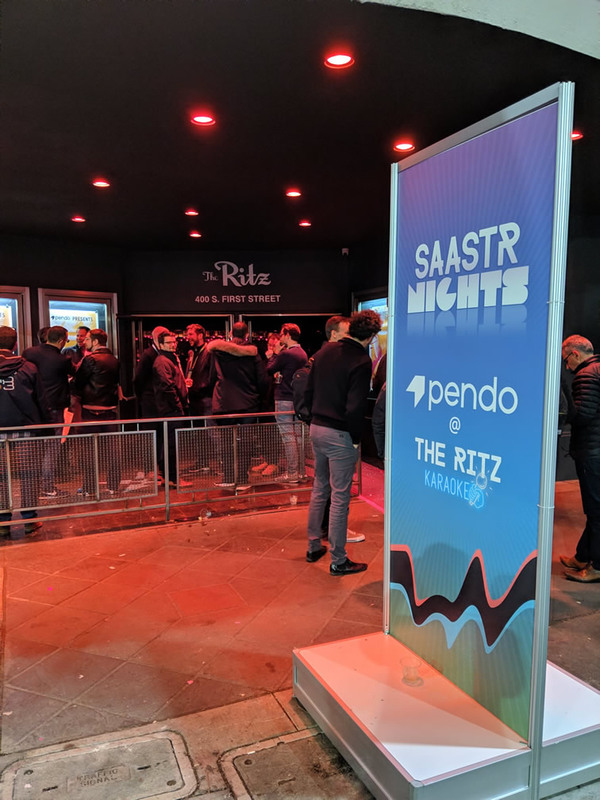 Did You Attend SaaStr 2019? If you had the chance to attend SaaStr 2019, tell us about it! We’d love to hear about some of your experiences and thoughts about the conference in the comments below.